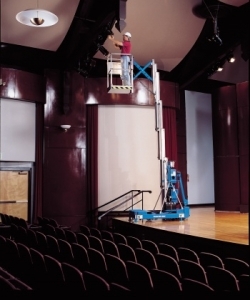 Genie Aerial Work Platforms (or push around lifts) are easy to use and cost effective. One person can easily set them up and get to work within minutes. Their light weight and compact size makes them a versatile option for a wide variety of maintenance applications. 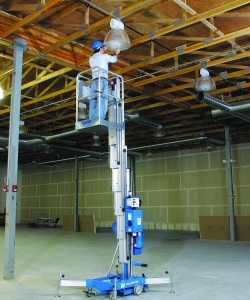 Genie AWP Super Series work platforms - easily transportable, push around machines. Genie IWP Super Series work platforms are ideal for contractor and maintenance uses.